Tatung’s Monster Of A Monitor Always Performs very well even for long periods of time with crystal clear images. The TME50 50” (diagonal) has the highest resolution of 1920 X 1080 resolution and is a solid standout with its superior LED high definition display that offers an 8ms (millisecond) response time so that images are viewed with the least bit of pixelation and with no lag or ghosting. What does a 4000:1 contrast ratio mean to you? It means brilliant blacks in even the brightest of rooms and the whitest whites in everyday normal settings. To properly display these awesome features, DVI is supported through not only one but two HDMI inputs with one in the back and one located on the side. Two USB A-Type slots supporting MPEG-4 video, JPEG, TXT and MP3 are located on the side as well as a 1/8” earphone jack. All of these inputs are readily available in the lower left rear of the case with easy access. And of course, all of these features wouldn’t be the same without a remote. Technology has certainly changed over the past 30 years (or even 15 for that matter) when once upon a time a 19” CRT monitor was crowned top of the line and 25” were considered whoppers for a computer monitor. Who would have thought of hanging a 50” display on your wall even 10 years ago!? Wall mounting accessories are available through USA Security Systems but if you find that you are not wall mounting this display, a detachable base is included. Space for this display is much more compact with the base depth taking up only 2.63” plus the width of the screen measuring 44.69”. However, even with all the latest technology available, there are still many older security camera systems in place with the older CRT monitors. The release of Tatung’s TME50 (part of Tatung’s TM series of security surveillance monitors) gives integrators and end users the opportunity to upgrade their systems at a cost-effective price. Tatung’s TME50 is a high end High Definition LED monitor that can be used in a wide variety of applications and markets including traffic, military, security surveillance and even digital signage due to the variety of inputs it comes with (Composite Video, VGA, HDMI, USB, Audio Input & DVI (via an adaptor through HDMI that is sold separately). Large house of worship locations that transmit services to parishioners can reap the benefits of the TME50 as well as broadcast editing and video conferencing engineers. The smallest institution to the largest organization, this display will please any size technology and monitoring department looking for high-end quality and great features. Coming in at the size of a small billboard and adaptable to smaller space, this is definitely an inexpensive solution for monitoring and surveillance. This latest contribution from Tatung is the LED monitor of your dreams with exceptional clarity and offers affordability with the brilliance of 1080p HD resolution and the best image out there of any shape, size or type of display. USA Security Systems Technology offers Tatung’s TME50 along with all accessories (mounting, cabling and stands) needed. Always here to answer any questions, contact us for more information regarding prices, shipping or any other concerns. Our friendly and knowledgeable staff are always here to help with your application needs. 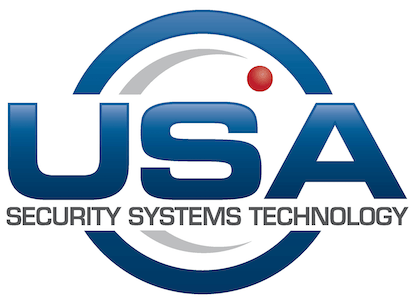 www.usasecuritysystems.com.